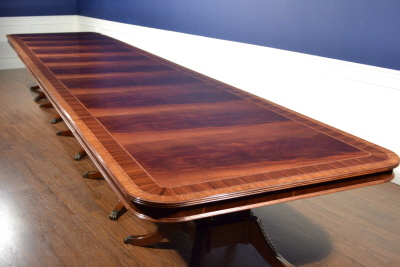 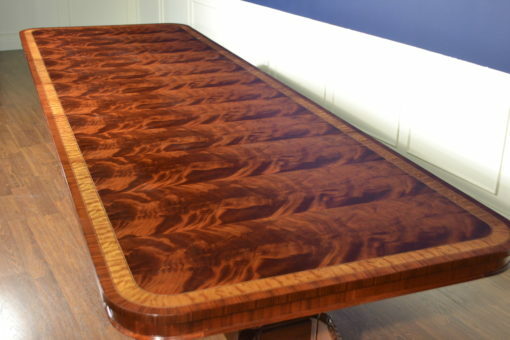 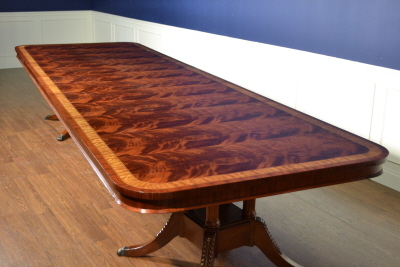 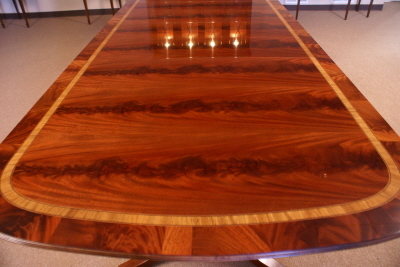 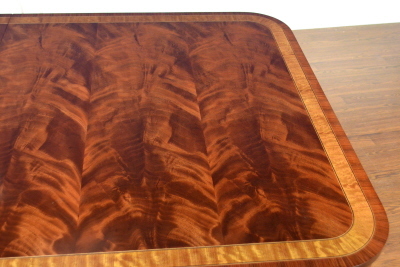 This banquet table features a field of swirly crotch mahogany with boarders of rosewood and satinwood. 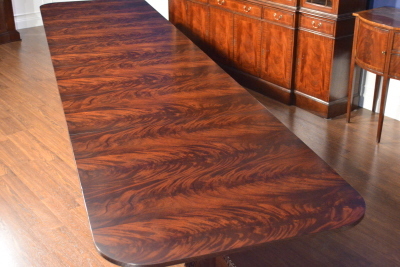 Dimensions: W: 52 in, L: 88in., Leaves: 24 in. 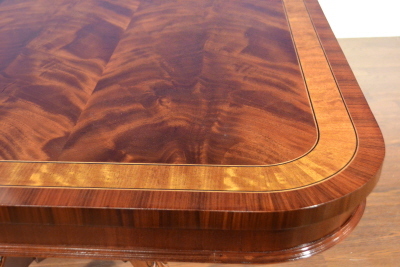 Total length with three leaves: 160 in.